September 26, 2013 - Last year in the early morning hours, after consuming alcohol a group of friends met at St. George Municipal Airport, Utah to boarded a Cessna 172S (N953SP) aircraft with the intent to fly to Mesquite, Nevada. 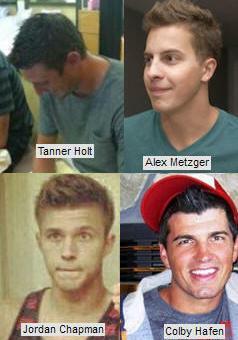 The commercial pilot Tanner Holt age 23 and his friends Alex Metzger, 22 of St. George, Colby Hafen, 28, and Christopher Jordan Chapman, 20, both of Santa Clara had departed St. George Municipal Airport on May 26, 2012 about 1:20 AM. Under normal nighttime weather conditions, airport security cameras footage showed the aircraft departed runway 19 and maneuver at a low altitude for the length of the runway while increasing its airspeed. Near the end of the runway, the airplane began a rapid ascent and continued out of the view of the camera. 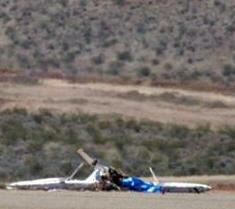 After about 7 seconds, the single engine four place airplane which was owned and operated by Diamond Flying LLC, reappeared in a rapid descent in which it nosed crashed about 300 feet from the airport runway with the aircraft resting in an inverted attitude killing all onboard. Toxicology reports indicated that in the late evening of May 25, and early morning hours of May 26, the pilot, Tanner Holt, along with his friends had been consuming alcohol at a friend’s house. However, Christopher Chapman toxicology indicated he had not consumed alcohol. On Wednesday, Terry Lee Chapman, the mother of Christopher Chapman filed a wrongful death lawsuit in Salt Lake City’s district court alleging that the pilots father Bradford Holt and Diamond Flying were negligent in allowing the pilot to takeoff while impaired and under the influence of alcohol, in that they provided him unrestricted access to the aircraft and allowed him to operate the aircraft outside of the aircrafts weight and balance limitations.